PT Kaltim Prima Coal - KPC is a foremost privately-owned company in Indonesia, running business in coal mining industry. Based in Sangatta East Kalimantan, KPC has 90,938 hectares of coal mining concessions in Sangatta and Bengalon of East Kutai Regency at the East Kalimantan Province. KPC is widely known nationwide as one of the largest coal mining companies in Indonesia with installed total annual production capacity of 50 million tonnes per year. KPC produces three grades of coal; Prima (high quality coal), Pinang (medium quality coal), and Melawan (lower quality coal). KPC now has representative offices in Jakarta, Samarinda, and Balikpapan. PT Kaltim Prima Coal also supported by 5,200 employees and 21,500 personnel from contractors and associated companies. PT Kaltim Prima Coal is a member of PT Bumi Resources Tbk (BUMI), one of the largest natural resources business group in Indonesia which focused primarily on coal mining industry. According to information found in PT Bumi Resources Tbk Annual Report 2016 as cited by JobsCDC.com, PT Bumi Resources Tbk owns direct ownership in PT Kaltim Prima Coal. BUMI purchased 100% shares of PT Kaltim Prima Coal, after acquiring Sangatta Holdings Ltd and Kalimantan Coal Ltd. Bachelor Degree (S1) majoring in Electrical or Physics (Control system or Instrumentation). Required intensive experience for minimum 5 years in Electrical – Automation & Control System fields. Hands on experience to do programming on Siemens S7-300 PLC, Siemens WinCC and Schneider Citect Scada Systems. Advanced knowledge of field devices, sensors and actuators, industrial data communication, motors and variable speed drives. Have experience and familiar with related standard (IEC, IEEE, AS, PUIL). Good problem solving and decision making competencies. Demonstrated strong Leadership, communication and interpersonal skills to influence and deal with a diverse range of personnel. Good financial skills to handle project and budget responsibilities. Excellent written and oral communication skills in both English and Indonesian, to liaise with internal and external contacts. Tertiary education in Mechanical Engineering from a reputable university. Required experience for minimum 2 years in mechanical project construction and/or bulk material handling / conveyor and/or mining environment. Have good understanding and experience in implementing Project Management Body of Knowledge (PMBOK). Have good understanding of mining industry. Have good knowledge in Mechanical Standards and Codes. JobsCDC.com now available on android device. Download now on Google Play here. Please be aware of recruitment fraud. The entire stage of this selection process is free of charge. 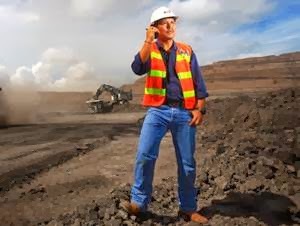 PT Kaltim Prima Coal - Mechanical Engineer, Senior Electrical Engineer KPC February 2019 will never ask for fees or upfront payments for any purposes during the recruitment process such as transportation and accommodation.